I was an invited speaker at the Karman Conference on Additive Fabrication of Interactive Material Systems. My undergraduate advisee Hollis Liu has been given a CS Department Outstanding Research Award. I have received a CURE Grant with Dr. Mark Zarella of DUCoM. My MS student Rafael Campos has been profiled on the CCI web site. I am part of the Drexel team that was awarded one of the National Institutes for Manufacturing Innovation! Called AFFOA, the institute focuses on advanced fibers and textiles and is led by MIT. AFFOA recently announced that it will establish a Fabric Discovery Center here at Drexel. Check out "Level Set Morphing Goes to Hollywood!" I am affiliated with the Center for Visual and Decision Informatics, the Center for Functional Fabrics, and the Center for Biological Discovery from Big Data. a team led by Dr. Ali Shokoufandeh in Drexel's Computer Science Department. I am an Organizing Committee Member for the 2019 International Conference on Biotechnology and Bioinformatics. I am the Program Co-Chair for the 2019 4th International Conference on Biomedical Signal and Image Processing. the 2019 IEEE International Conference on Bioinformatics and Biomedicine. Geometry is the technical thread that runs through most of my research. This may include geometric computation, geometric modeling, and geometric analysis. Having studied physics as an undergraduate, physics-based modeling also is a frequent theme in my research, which can be seen in my energy-based optimization and simulation work. Since I am fascinated by living systems and how they work, I have worked extensively with biologists, biomedical engineers and physicians. This has led to my research efforts in geometric biomedical computing. 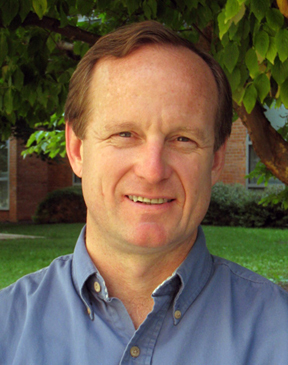 This is a research area that lies at the intersection of biology, medicine, engineering and computer science, and one that develops algorithms and software to solve geometry-related computing problems for a variety of biomedical applications. 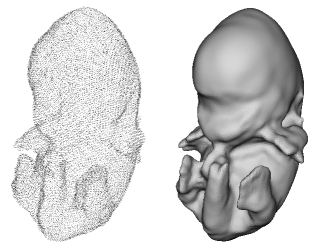 I am intrigued by the dynamic processes that aggregate small-scale, local interactions to produce large-scale, self-organizing macroscopic behavior and structures. I have also returned to my technical roots (cloth modeling) by getting involved with the research at the Center for Functional Fabrics. I am helping to develop computational technologies needed for the design of advanced textiles. feature-based 3D level set morphing. My research is funded by the National Science Foundation, the Commonwealth of Pennsylvania, and the Center for Visual and Decision Informatics. 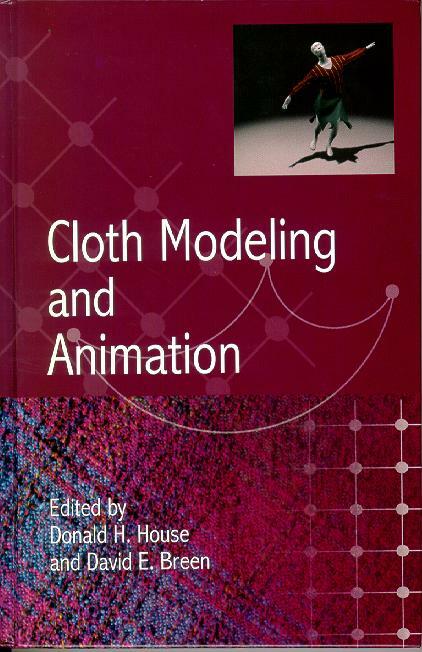 My book, Cloth Modeling and Animation, (co-edited with Donald House) is available from CRC Press! Last modified on March 27, 2019.